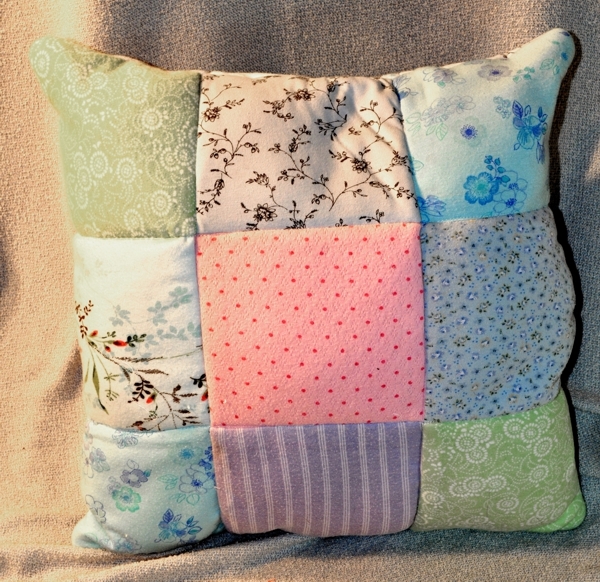 Patchwork pillows made from an old family quilt to share between four siblings. 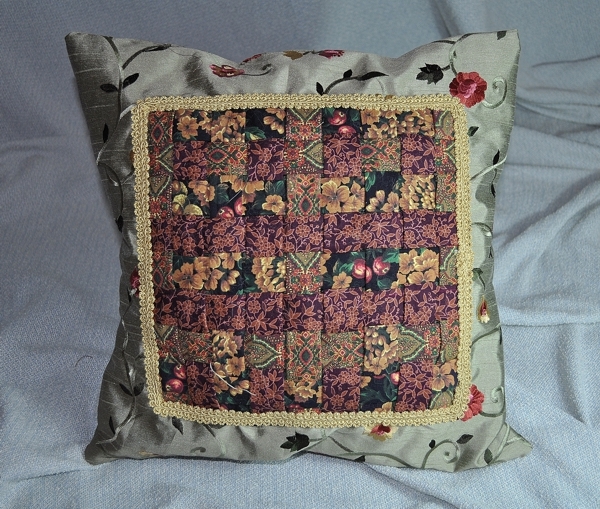 Patchwork pillow made from a late wife’s nightgowns for her husband to hug at night. 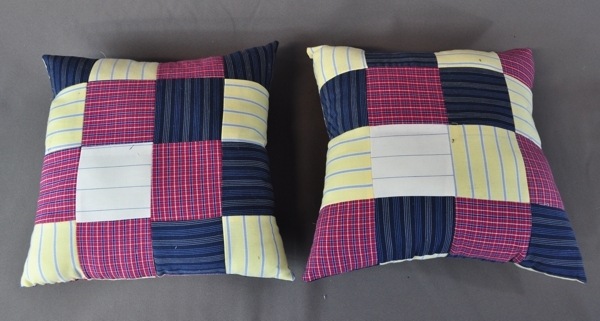 Patchwork pillows made from a late father’s shirts for his children. 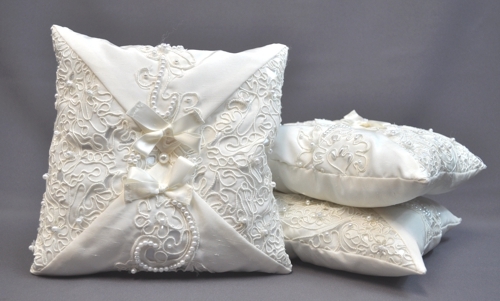 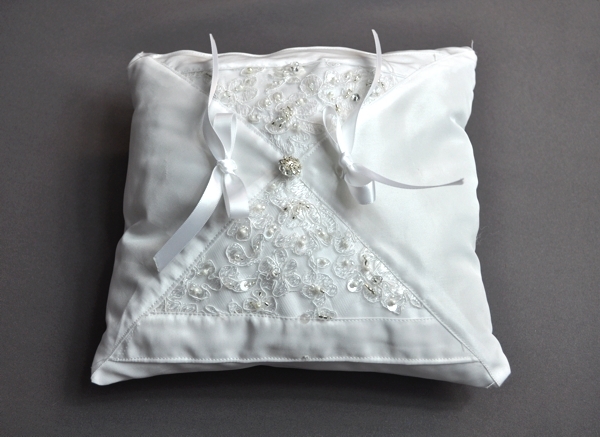 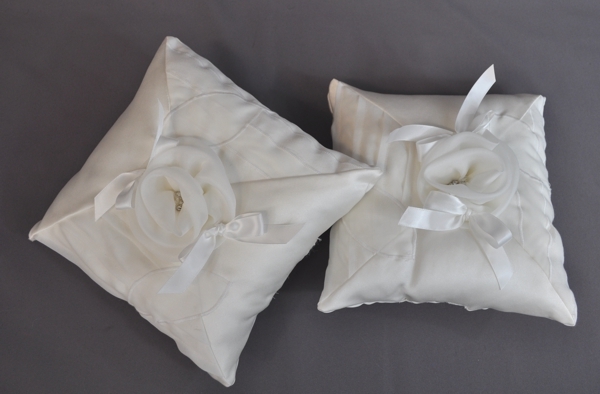 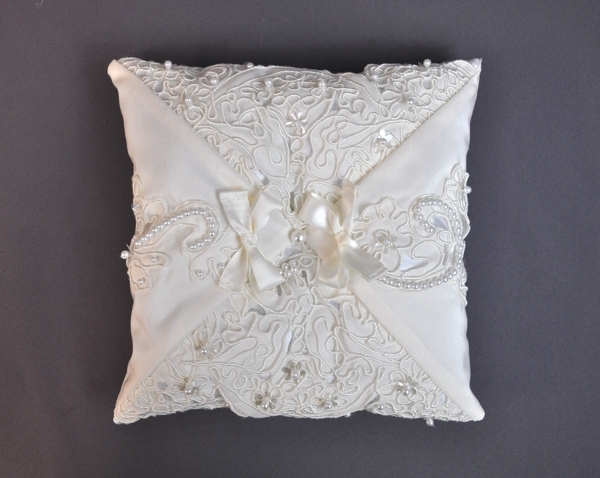 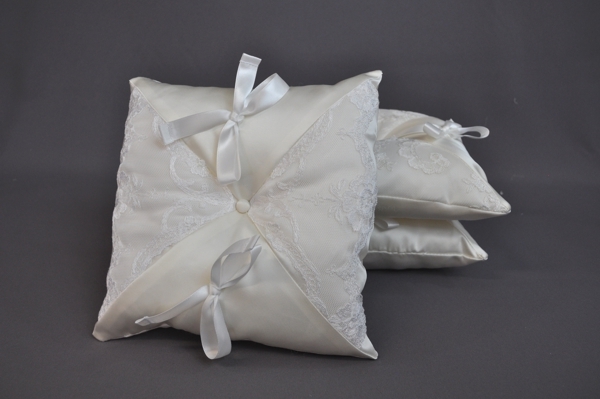 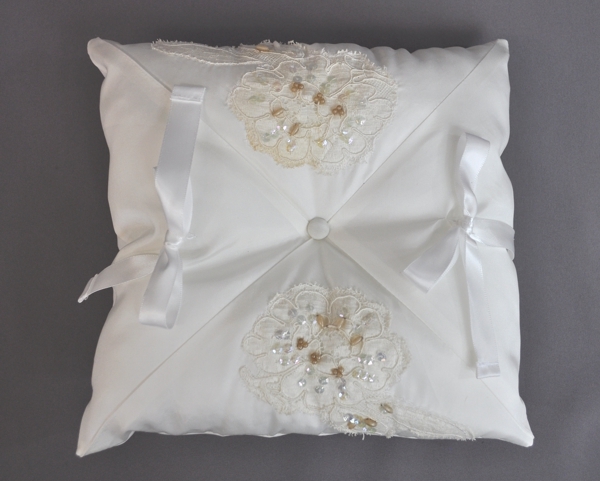 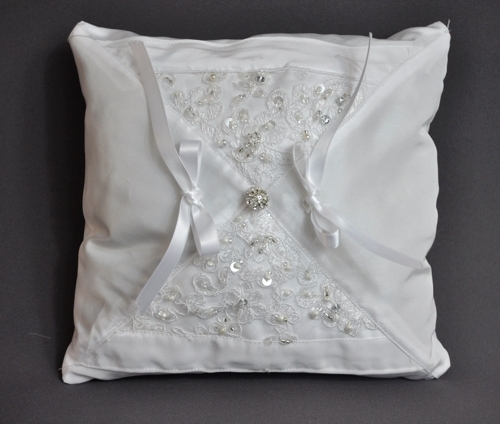 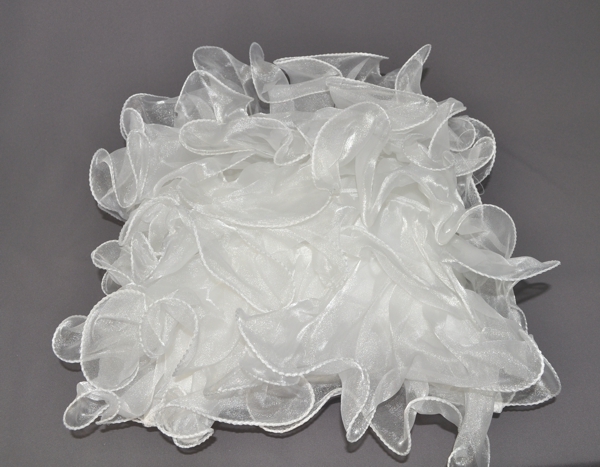 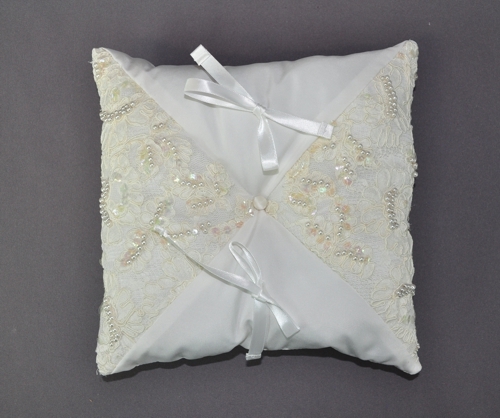 Decorative Pillow made from the train of a wedding dress. 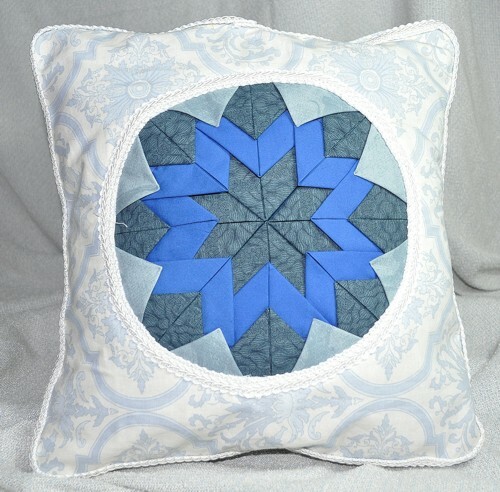 Decorative Pillow from jacket and shirts using quilting techniques. 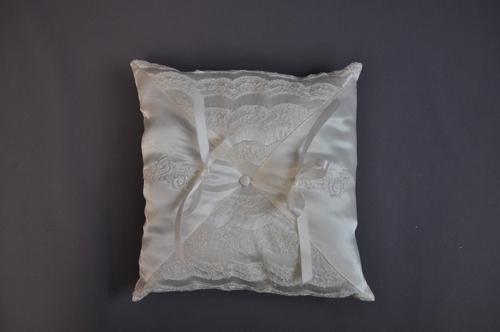 Decorative Pillow made from neck ties.